Title: Basketry Series Black. Date: 2018. Technique: Ink on cotton paper. Dimensions: 55 x 75 cm. Photo: Disclosure. 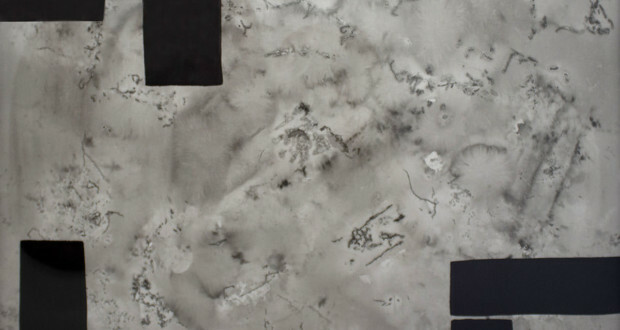 The Verve Galeria displays "silence Black”, visual artist Luiz Martins, curated by Ian Duarte Lucas. 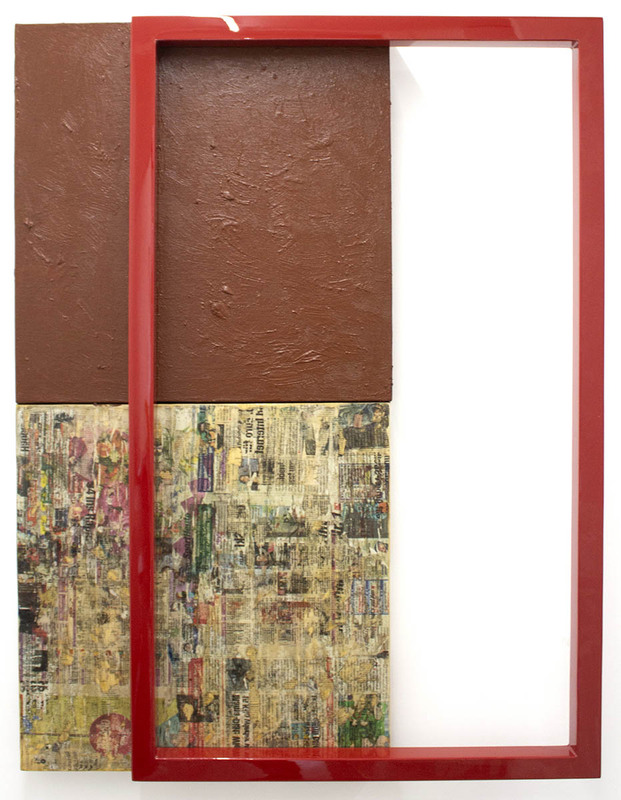 In his second solo show at gallery, the artist presents 14 works - paintings, drawings, and an installation – addressing recurring themes in his research, connected to their sources and building a language. Born in the small town of Machacalis, Minas Gerais, a part of the family Luiz Martins is African descent, and another belonging to the indigenous tribe of the maxakali. Autodidact (self taught), He had contact with cave paintings in his region since childhood. To the 17 years, the artist moves to São Paulo, which begins to live the harsh reality of the periphery, “past the mishaps and the numerous mechanisms of exclusion of marginalized populations, this place of forgetting where so many are denied access”, as noted by the curator. Traces this trajectory can be viewed in the silence of forms, in this continuous process figured exchange silencing, rescue of a story still so present in their daily lives. The work of Luiz Martins Walking graphic elements, overlapping the pages written in various media – as dictionary leaves, Bible or tabloid – canons that carry, at different times, the dominant and normative discourse of the European white man, the curator of the sayings: “words that so often become instruments of literal and symbolic violence”. The materials, textures and surfaces that make up the universe of the artist carry all this symbolism. “silence Black"Goes on display at a time when major institutions, all around the world, seek to repair the historical exclusion of the art circuit minorities. About it, the curator adds: “This shows, is put into question the political art of the place just as figurative art, pointing the place of abstraction as of equal importance in this debate”. According to the artist, “this series raises questions to an aspect considered surpassed in history and Brazilian art: or black, peripheral, the Indian, presented here in order to put the artist's relationship with society, the art object with space, and still, as the work is manifested and becomes representative of this meeting, often crossed by social reality and politics Brazil. […] There are many ways to tell the story of those millions of African men and women to the brutality of slavery snatched. In the case of this new series, the concept is embedded by silence as matter ". 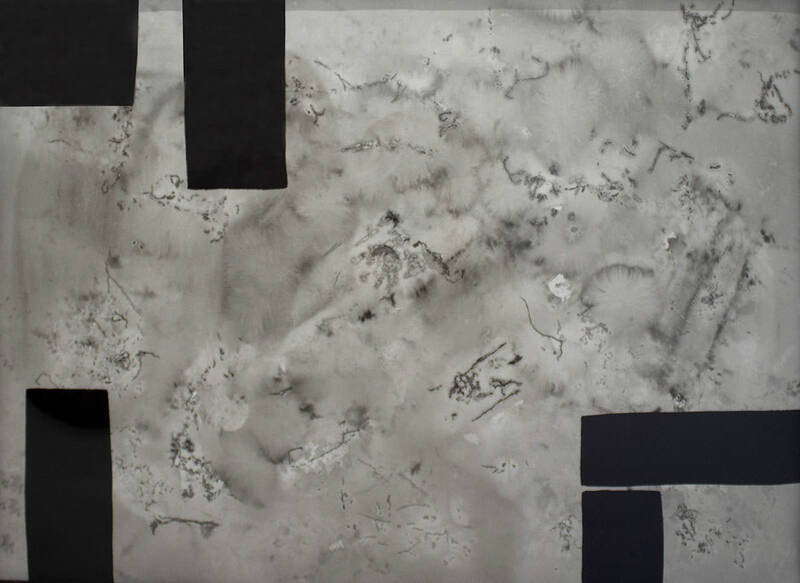 Title: Silence series Black - painting - Object II. Date: 2019. Mixed technique on wood. Dimensions: 75 x 100 cm. Photo: Disclosure. For this last series, Luiz Martins It works its forms not only on dictionary pages, adding rereading the travel diaries of Debret and Rugendas, Typical historical records that categorize and attributed features and functions to different races. So, refers to persistent processes in the structuring of society, and yet a subtle critique of a market that today honors and highlights political and cultural stereotypes. “First of all, It is the place of the body and the ancestry of this body – in this case no figuration could represent as a whole – What interests the artist, blunt expression of his complex and fascinating life story”, concludes Ian Duarte Lucas. As a complement to the exhibition event, in a partnership between Verve Gallery and AUA, will be exposed, this second space, Artist authored jewelry dealing on the same topic. Lives and works in Sao Paulo in Sao Paulo and Vienna, producing paintings, sculptures, drawings and prints. Its main sources are the telluric demonstrations and ancestors, derived from the Brazilian nature, shown in different supports such as wood, the fiber, steel and natural pigments. Has in its curriculum numerous solo and group exhibitions, and his work is present in private collections in São Paulo, Campinas, London, The Angels, Vienna, Keys, Berlin, Bratislava, and public spaces such as: Banespa Museum / SP Bollini / Argentina Foundation, Pinacoteca de São Bernardo do Campo / SP, Latin American Post / Colombia, Museum of Contemporary Art MAC / USP, Brazilian Museum of Sculpture (MuBE), among others. Dividing his time between his studios in Sao Paulo and Vienna, the Austria, the artist has had solo exhibitions in Vilnius, Milan, Tokyo, Vienna, Bologna and Lisbon. The Verve is a contemporary art gallery founded in São Paulo, in 2013. In their spaces, led by the artist Allann Seabra and Ian Lucas Duarte Architect, transits through various means and languages. Born of enthusiasm and inspiration that animate the spirit of artistic creation, Verve Gallery is home to different platforms of contemporary experimentation. The eloquence and subtlety that characterize its name are also present in the careful selection of artists and exhibition projects. Understanding that artistic languages ​​are continuous processes and complementary, It is new talent and established professionals who freely move between painting, photography, sculpture, video, site in situ, site-specific, engraving and street art. The gallery occupies a century-old house, and the diversity of its exhibition spaces emerge curatorial possibilities that go beyond the traditional format “white cube”. To open up to the street, establish open dialogue with the built heritage of São Paulo, fulfilling the integrative function between art, the public and the city. Seeks to go beyond the direct sale of art, promoting regular shows, lectures and workshops, and exchanges and partnerships with artists and galleries in Brazil and abroad.